You must be a member of the Singapore Theater/Concert Group to attend this activity. Would you like to join this group? 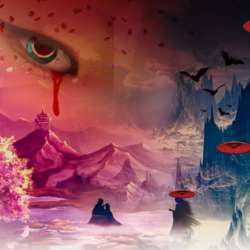 Exciting fusion of Western operatic style and Peking Opera elements, Painted Skin – An Opera in Concert is an ambitious adaptation of the classic Chinese short story from Strange Tales from a Chinese Studio by Pu Songling. Painted Skin is an innovative and creative musical interpretation of a classic tale. The tickets are selling fast. Around February 8, I will contact all who are registered and purchase the tickets for those who confirm their interest.